Being in exceptional shape and health can be crucial in leading a happy and independent life at home or outdoors. Late night cravings and mid-afternoon snacks can persuade you to eat more than required and put on extra weight. Many studies prove exercises in the morning can brighten the mood and boost physical health. People who are experiencing depression or anxiety can start exercising at home to mitigate the negative effects of it. Simple exercises such as walking or swimming can help you enhance cognitive abilities, lowers blood pressure, and clears clutter from the mind. Following are 10 amazing exercises that can help you feel energetic and strong throughout the day. To prevent the risk of arthritis, body stiffness, and increase muscle toning, stretching exercises can be beneficial. Cat camel stretch can be a simple exercise which is an incredible morning workout for those who don’t find time to exercise later in the afternoon or evening. This type of exercise can give you a mental boost after long hours of sitting or lying. Cat camel stretch can be perfect to strengthen the spine and enhance body flexibility. First, kneel down on the floor or a mat with your hands flat. Try to curve the back like a camel hump so the head can move towards the pelvis. Hold the camel pose for a few minutes. Afterward slowly lower the head towards the ground so the lower back becomes arch-shaped. Repeat the movements gradually two or three times. Many people take walking for granted because it is a simple exercise which doesn’t require any equipment or specific place. 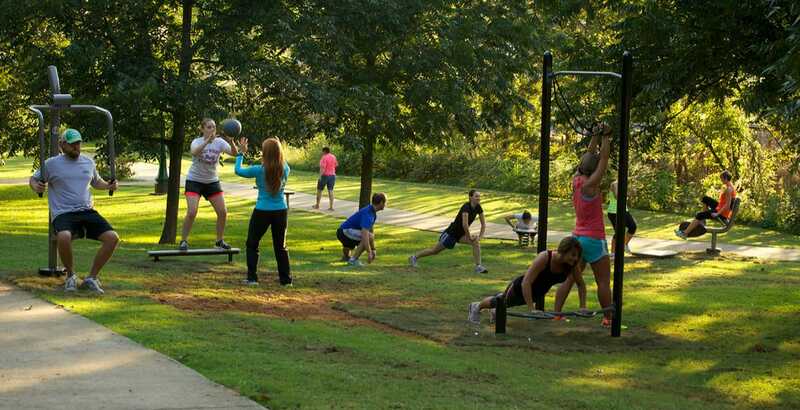 It is better to walk briskly outside in a nearby park or buy a treadmill instead if you are not comfortable outdoors. Make a schedule in the morning for walking and enhance the time period and pace gradually after every day. 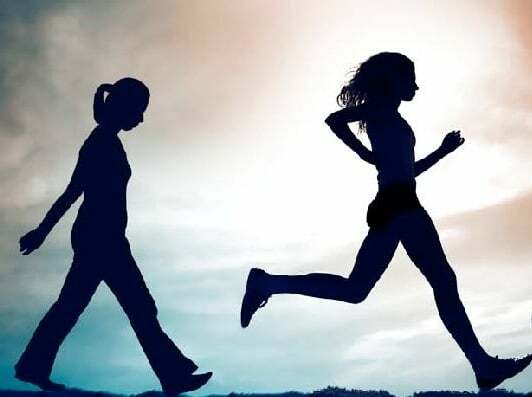 Creating achievable goals can allow you to make walking a fun hobby which can help you prevent cardiovascular diseases, obesity, or living a sedentary lifestyle. Try to walk faster to burn calories and make a habit of covering more miles. A fun walking routine can be a 10-minute walk to warm up the body or a sprint. Observe the distance you will cover after every run or walk and try walking at a steady pace. It is one of the favorite exercises celebrities do nowadays. Jumping Jacks can be an exceptionally simple and enjoyable exercise to boost heart health. It might help tone the leg muscles which includes deltoids and calves. By doing jumping jacks, you can do cardio as well as strengthen the bones naturally. Stand upright with feet closer to each other. Then jump high while opening the arms and legs apart. You can do jumping jacks as much as you want based on your stamina. The table pose is also known as Half Upward Plank Pose which allows you to easily stretch the anterior side of the body and builds up the core muscles. Table Pose can help the body realign the spine on its own, enhances focus, and helps with regular breathing. This kind of exercise is tailor-fit for people who have a desk-bound job or sit around in the office all day. Kneel down on all fours to raise the left arm and right leg in a parallel position. Hold the position for a few seconds and try to breathe properly. Repeat the exercise four to five times. Squats can be a full-body workout because it involves hip muscles, legs, hamstrings, quadriceps, and the core. Stand with the feet further away from the buttocks and by the sides. The arms should be in front of the body which allows you to balance the body as you go down. Try to lower the body like you are sitting on a chair till your thighs are parallel to the ground. Move further down unless you are falling and start the exercise again. It can be difficult for some people to do a perfect push up if they are just starting based on their health. Many primary and new exercises revolve around pushups because it allows the body to warm up. Align the shoulders with the hands and breathe slowly as the body starts lowering down. Afterward get back to the neutral position while exhaling. 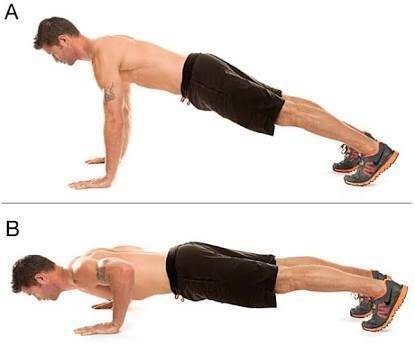 In any basic kind of pushups, several muscles are targeted such as the shoulders, wings, the arms, back, or the triceps. You don’t require any equipment to do a pushup except the weight of the body and arms. It is a single-leg exercise better suitable for enhancing body strength which targets many major muscles like hamstrings, hips, quadriceps, as well as the core. By doing lunges every day, you can maintain lower-body strength and build endurance. Stand upright to perform lunges with feel flat on the floor and shoulders relaxed. To perform a perfect lunge, move the left leg forward allowing the right knee to almost touching the bottom floor. Then do this for the alternate leg and repeat the exercise four to five times. Besides regular squats, lunges can be highly efficient for beginners. You can perform bicep curls by just sitting on a chair or a couch. 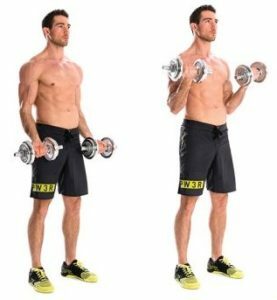 Select a light dumbbell or another object to hold while performing this exercise. Try to sit on a comfortable chair and lurch forward a bit to rest the triceps properly on the thighs. Lift the dumbbell to the shoulder length and put it down again. If the dumbbell is not heavy, try to do a few sets. Bicep curls are an excellent exercise which can make household tasks easier for you. By flexing the arms, you are simply working out several muscles all at once. If regular crunches seem boring, you can try bicycle crunches to strengthen thighs and abdomen. Put your hands behind the head and lie flat on the floor. Slowly bring the knees towards the chest while lifting the shoulder blades as much as you can. Try to touch the left elbow to the right knee while the shoulder blades are above the ground. Make sure the elbows are back to prevent any kind of neck or back strain. You should stop exercising if it is difficult for you to breathe properly. Plank is one of the easiest exercises to do, but holding the position can be hard. You have to place your hands and arms on the floor so they are parallel to the ground. Align the whole body from the head to the heels while looking down at the floor and gazing forward. It strengthens the core muscles which can also help with running and be getting into the car. Author Bio: Marina Torres has been writing articles since her teenage and is currently enjoying a successful career as a content writer. She loves to write about helping and motivating others to find a way to happiness and working everything out despite the challenges of life. This is the reason she has chosen home care industry and is currently employed with Home Care Assistance Huntsville.